Animals are sensitive and emotional beings, which can lead to behavioural problems or health issues. Reiki can help to relax pets therefore reducing anxiety caused by separation, fear, trauma or ill health. Gentle,safe and non invasive, the treatments are carried out in the animal’s home environment for their comfort and security. Suitable for all types of pets including dogs, cats, rabbits, horses, hamsters and goldfish. “To see how Mr P reacted was remarkable. 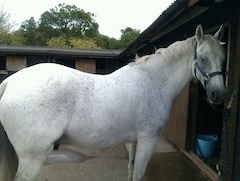 You were amazing with him..” Gaynor about her Andalusian horse, Harpenden. “I am very grateful to Papu for her wonderful reiki skills in helping my traumatised Romanian rescue dog Dobby. I asked Papu to do reiki on my dog as I felt he carried a lot of emotional issues due to the terrible time he had endured in Romania prior to being adopted by my family. Dobby had 3 reiki sessions with Papu and I could see a difference in him immediately after the first treatment, he seemed so much happier and less aggressive towards my other dogs. He continued to improve with the second and third session, and I feel this is largely due to Papu’s reiki skills. Thank you Papu, you’ve made a real difference to our little dog Dobby! !” Fiona, St. Albans. 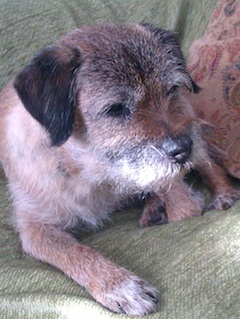 “Sadie was playful once home after the treatment and wanted to play tug of war with her collar like a puppy, which she doesn’t normally do, she has been happy in herself and quite relaxed, sleeping well.” Charlotte, Redbourn, about her 13 year old rescue terrier. “the treatment experience was a very calming relaxing one for both horses, knowing them well it was wonderful to see how relaxed and quiet they were around you and how confident and respectful you were around them” Yvonne, St. Albans. “Sooty and Woody have definitely been more chilled.” Angela, Harpenden. ‘I recently attended Papu Jordan’s fascinating talk on Reiki treatment for animals. It came as no surprise that her calming and caring initiatives are just as successful with our four legged friends as they are with her human colleagues!‘ Annie Manning, Quality Consultant and Author. Redbourn.